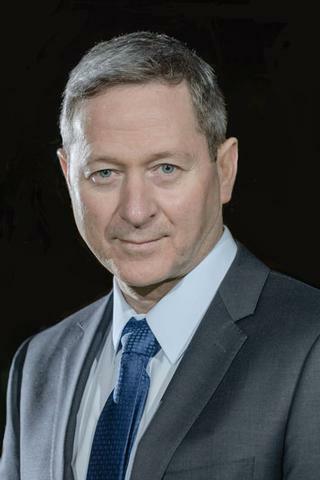 Dr. Eli Eliav joined the University of Rochester Medical Center in 2013, when he was appointed Director of Eastman Institute for Oral Health and Vice Dean for Oral Health within the School of Medicine and Dentistry. Previously, Dr. Eliav served as Director of the Center for Temporomandibular Disorders and Orofacial Pain and as Chair, Dept. of Diagnostic Sciences at UMDNJ - New Jersey Dental School. He was also the University's Carmel Endowed Chair in Algesiology since 2004. Dr. Eliav's current research projects involve orofacial pain, quantitative sensory testing, neuropathic pain, pain modulation and the role of inflammation in neuropathic pain. Khan J, Korczeniewska O, Benoliel R, Kalladka M, Eliav E, Nasri-Heir C. "Age and gender differences in mechanically induced intraoral temporal summation and conditioned pain modulation in healthy subjects." Oral surgery, oral medicine, oral pathology and oral radiology.. 2018 Aug 0; 126(2):134-141. Epub 2018 Apr 13. Kalladka M, Ananthan S, Eliav E, Nasri-Heir C, Khan J, Heir G. "Orbital pseudotumor presenting as a temporomandibular disorder: A case report and review of literature." The Journal of the American Dental Association.. 2018 Jul 24; Epub 2018 Jul 24. Young A, Viswanath A, Kalladka M, Khan J, Eliav E, Diehl SR. "Mouse model demonstrates strain differences in susceptibility to opioid side effects." Neuroscience letters.. 2018 May 14; 675:110-115. Epub 2018 Mar 15.